16 years ago, Habanos SA introduced to the world the very first Reserva in 2003. It was the cohiba selection reserva. The reserva (and the grand reserva) series allow aficionados to enjoy cigars made entirely from a single year crop. 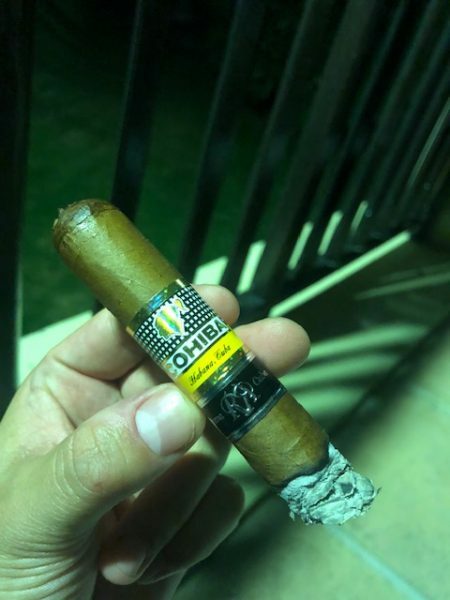 In the case of the Cohiba Robusto Reserva (reviewed here below), all leafs come from 2014. The cigar comes in 5000 numbered boxes of 20 cigars. 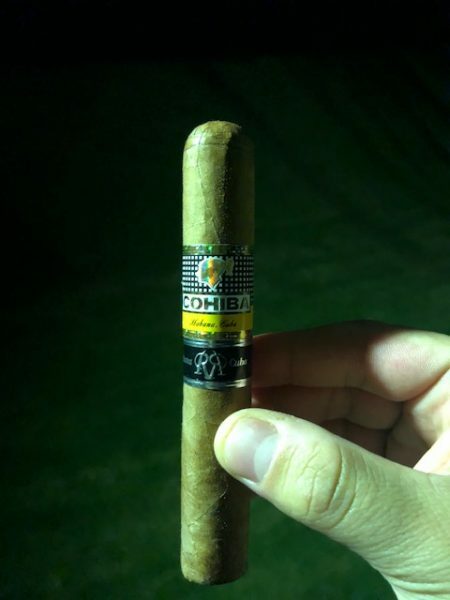 I was very excited to crack the Cohiba robusto reserva. However the price in France of 100euros per cigar increased the expectation very much. As I lit the Cohiba the first feeling of strength is very strong. After few puffs of a very well constructed cigar you can experience a long finish high acidity on the back of the palate. The very Easy draw creates a great density of smoke. Very rich and developing a nice aroma. The regular production cohiba robust are always medium to full but this one it to me much stronger, very powerful smoke. On the palate there are loads of dark cocoa notes and bitter coffee. AMAZING aroma building slowly. The strength is not too overwhelming, strongly enough it is so round and balanced that you just enjoy it, a true cigar. The first development brings a lovely sweetness and nuttiness soft finish compared to the beginning. You have the feeling you can get on an aged siglo 5. As the ash is building it feels a bit loose and not strong. Definitely a strong smoke but the craziness of the beginning soften slowly and brings more nutty and vanilla notes than dark rich flavours. Very surprised by the strength keeps on being stronger and stronger. Slight bitterness toward the end of the flavours. Some parts brings up a harsh finish. You feel the blend still didn’t fully settle. Great Cohiba flavours. Woody nutty. Slight sweetness. Construction is great. But the blend really need to settle and will settle amazingly as it is like a young powerful horse right now. Going all the directions and hard to control. Second part is slightly softer. The dark cocoa beans come back with very little sweetness but the flavours are dominated by the wooddiness. The aromas is very nice. The structure on the palate is off dry and not as round as you would expect from a Reserva series. Amazing nuttiness toward the end of the second third. Strength keeps on increasing !!! Slowly the strength decrease and it allows the flavours to really show up. The cigar went off and I took 2-3 minutes to re light it. The last third would have been maybe too strong. The fact that I let the cigar off so a little while cool it down and was very enjoyable after. The end feels a bit underfilled and the flavours dry. Clearly this cigar is a beast to become, the aroma is incredible. So rich. The flavours stay in the palate for a long time and turns out to be extremely nutty and sweet. Surprising feeling for the strong strength of the smoke. The feeling of inderfilled was very short the Cohiba Robusto Reserva Turns out to be absolutely fine. The heat and strength really increase toward the very end as from the beginning I really enjoy the aroma of this cigar. True Cuban fine cigar.